With oil prices having staged a recovery during the first quarter of 2019, primarily due to the withholding of oil supplies from Saudi Arabia, President Trump has once again entered the oil market as a threat. Not since OPEC’s founding in 1960 has an American president been as vocal or involved as Trump. Trump’s intervention in “Round 1,” summarized below, shocked the market, causing a massive price collapse. However, with close scrutiny of the president’s views, both before taking office and over the past year, the market should not have been so surprised. Saudi Arabia is in a delicate position. On the one hand, it needs oil prices in the $80s to support it's country’s budget, even if lifting costs are $10 or less. It also knows that a “high price” is not the best price longer-term, due to cutbacks in demand and the increasing availability of substitutes, such as U.S. shale. But possibly most importantly, it depends on the U.S. for its security. And looking forward, it wants U.S. investment to help diversify its economy as the oil age wanes. OPEC’s market monitoring committee met on September 23rd to assess conditions just about six weeks before new U.S. Iran sanctions go into effect, targeting Iran’s oil sector. Buyers and sellers are in the process of finalizing their loading programs for November, and so this assessment is of particular importance as to the question of whether oil supplies will be adequate once those sanctions go into effect. 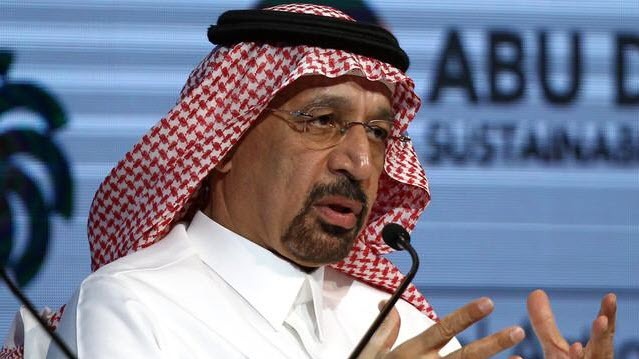 However, Saudi Energy Minister Khalid al-Falih was quoted as saying, "Our plan is to respond to demand. If demand [for Saudi crude] is 10.9 million b/d you can certainly take it to the bank that we will meet it. But the demand is 10.5 million b/d or 10.6 million b/d. I think October will be more than this." The Energy Information Administration (EIA) recently released its September Short-Term Energy Outlook (STEO) and its projects that world supply and demand will finally balance by late 2017. However, that depends on OPEC production rising a very small amount. Specifically, the EIA reported that OPEC crude production averaged 32.7 million barrels per day (mmbd) in August, and it projects OPEC production to average 32.95 mmbd in 2017. Under that scenario, world supply meets demand of 97.8 million barrels per day, and total inventories end 2017 at 3.062 billion barrels, about 350 million barrels higher than normal. Posted in Guest BloggersTagged Crude Oil Crude Oil (NYMEX:CL.N16.E) Organization of Petroleum Exporting Countries (OPEC) streetwise interviews the energy report Tracy Salcedo5 Comments on Oil Climbs over $50: Can Investors Bank on a Recovery? The latest rumor around the global water cooler that Russia and OPEC-leader Saudi Arabia have agreed to freeze oil production at January or February levels has been dispelled... for now. The OPEC leaders meeting in Doha failed to reach an agreement to cap production, with Iran bowing out of the meeting altogether, and refusing to pull back on its oil production. As a result, oil prices took a big tumble. Brent crude fell a harsh 7% on the news. West Texas Intermediate (WTI) fell almost as much at 6.6%. But does a "no deal" result from the OPEC Doha meeting mean production caps are off the table? Or that OPEC wouldn't seek an alliance outside its cartel? In response to the meeting, Qatar's energy minister Mohammed bin Saleh al-Sada said, "We of course respect [Iran's] position... The freeze could be more effective definitely if major producers, be it from OPEC members like Iran and others, as well as non-OPEC members, are included in the freeze." Al-Sada said that OPEC members need more time. Which says to me that this won't be the last we hear of production caps. Indeed, this wasn't the first time we'd heard about potential cooperation between OPEC and Russia, either.